Carpet cleaning professionals Prokleen are a family run business and have been providing superb quality carpet, upholstery, sofa, furniture and suite cleaning all over the North West for over eight years and have vast experience in carpet cleaning & upholstery cleaning in almost every conceivable location Home's, Office's, Retail Shop's, Conference Centre's, Restaurant's, Pub's, Club's etc. 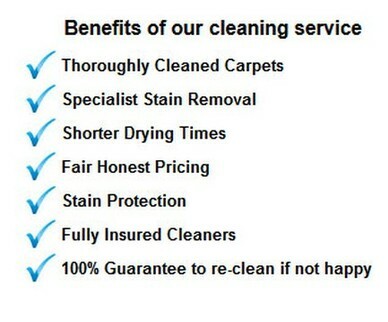 Carpet cleaning can be daunting for some people, they have spent a fortune on carpets and expensive furniture and dont like strangers coming into their homes, so what we have done is set up a Carpet Cleaning Blog to help our customers understand the process of carpet cleaning and upholstery cleaning, you will find plenty of tips on carpet maintenance, cleaning stains and spills etc. Carpet Cleaning Services from Prokleen have been developed based on our vast experience in the field and our accumulated knowledge and expertise. We are the leading carpet cleaners in warrington, Cheshire and northwest England, and our solid reputation has been built on quality service, low prices and a commitment to customer satisfaction. 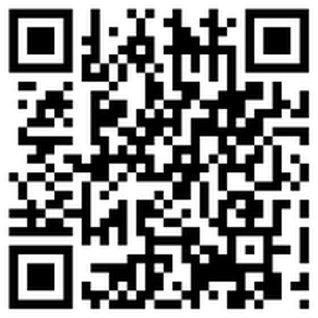 To View our website on Iphones, Tablets, Smartphones you can click the image or here or if you have a QR reader scan the image. 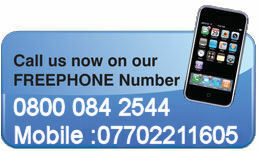 When it comes to having your carpets & upholstery professionally cleaned - we don't mess about! We know you may have been disappointed by past cleaners, or you may have heard of the bad experiences of others at the hands of less well equipped, less experienced, less professional carpet cleaners, that is why we are dedicated to making sure your next experience is one that puts a smile on your face. "We offer a 100% Satisfaction Guarantee on every job". No matter the size of your requirements, from a office block to a living room carpet, Pro-Kleen have the equipment, skills and experience to deliver top quality results every time. And, because of the efficiency of our modern equipment we are often considerably cheaper than many of our competitors. 5 (*****) rating based on 120 Reviews from our customers based on quality and service they received from our carpet & upholstery services in Manchester, Liverpool, warrington and St Helens. carpet cleaners Runcorn, Astmoor, Astmoor Bridge, Astmoor Industrial Estate, Aston, Beechwood, Brookvale, Castlefields, Cheshire, Clifton, Daresbury, Grange, Hallwood Park, Halton, Halton Brook, Halton Lea, Halton Lodge, Heath, Manor Park, Mersey, Milton Weaver, Murdishaw, Norton, Norton North, Norton South, Palacefields, Preston Brook, Runcorn, Sandymoor, Sutton Weaver, Weston, Weston Point, Whitehouse Industrial Estate, Windmill Hill.